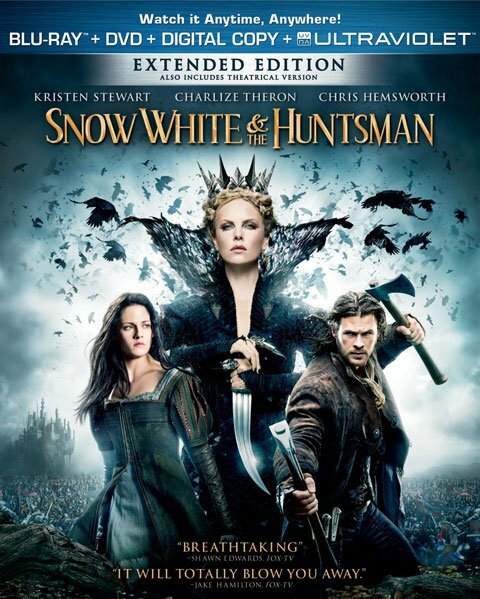 Snow White and the Huntsman will take look at the darker side of fairytales in its upcoming home entertainment release. On September 11, the film will find its way onto Blu-ray and DVD in sets that will be jam-packed with extras for the fans. To get audiences excited about this week's release, Universal Studios Home Entertainment has dropped us an exclusive sneak peek at one of the bonus features on the disc. The video follows Kristen Stewart as she describes the toughest scene she had to shoot for the film. In the video, stunt coordinator Ben Cooke describes the scene where Stewart has to jump out of a cavern and into the ocean. In the film, the jump seems dauntingly long, but according to Cooke, it’s only sixteen feet—not that I’d want to deal with a jump that lengthy. Beyond that, the jump was accomplished in the frigid air of late October in England. The extra is actually pretty cool. Stewart didn’t time her air right, so the scene where she emerges from the water makes her look even worse for wear. It was probably scary for the actress to be submerged and to almost not have enough water, but it certainly made the scene look more real-to-life onscreen. You can check out the full list of Blu-ray extras, below.